MTSU on WGNS: ‘Peter Pan’, deb..
Register now for MTSU’s ‘21st ..
Forensic pathologist J.C. Upshaw Downs has studied death firsthand and answered questions about it for more than 25 years. Now he wants to help find answers to the ethical challenges in his life’s profession. 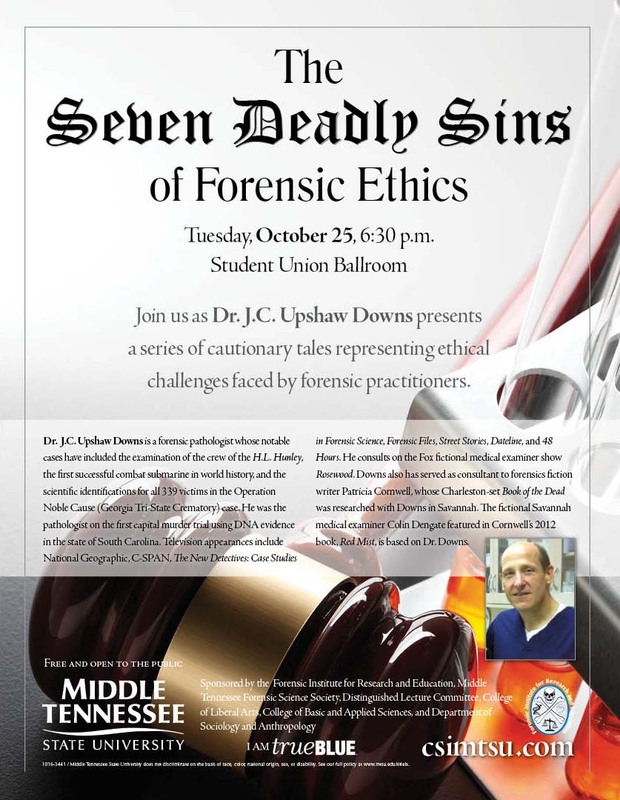 Downs, the fall 2016 guest of MTSU’s William M. Bass Legends in Forensic Science Lectureship series, will speak Tuesday, Oct. 25, at 6:30 p.m. in the university’s Student Union Ballroom. MTSU’s Forensic Institute for Research and Education, or FIRE, is presenting Downs’ free public talk, “The Seven Deadly Sins of Forensic Ethics.” A searchable, printable campus parking map is available at http://tinyurl.com/MTSUParkingMap. Downs, who’s served as coastal Georgia’s first regional medical examiner in Savannah since 2002, has worked continuously as a medical examiner and consultant in forensic pathology since 1989. He was Alabama’s state forensics director and chief medical examiner from 1998 to 2002. He also is a consultant at the Behavioral Sciences Unit at the FBI Academy in Quantico, Virginia, a major in the Civil Air Patrol Legislative Wing and a forensic pathology consultant for the C.S.S H.L Hunley Project in Charleston, South Carolina. The Hunley project is one of Downs’ widely known successes. Experts extensively studied and identified the remains of the eight crew members of the Confederacy’s H.L. Hunley, the first successful combat submarine in history, which sank near Charleston in 1864 and was raised in 2002. Those experts, including Downs, were disappointed when they couldn’t find conclusive evidence for the crew’s causes of death. Downs, however, continued investigating and discovered brain tissue among the remains, which may finally help experts determine what killed the Hunley’s crew. 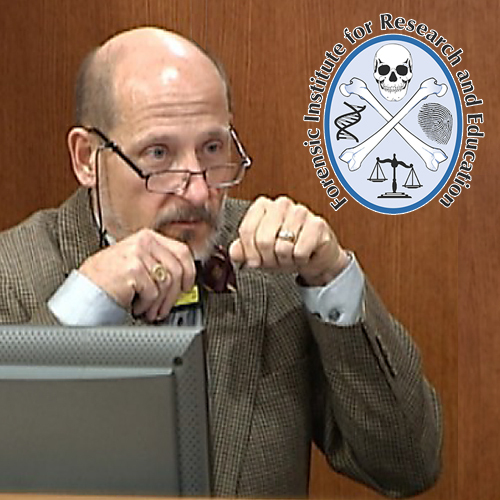 He also provided the scientific identifications for all 339 victims in the “Operation Noble Cause” Georgia Tri-State Crematory case and served as pathologist on the first capital murder trial using DNA evidence in South Carolina history. Downs is founder and president of forensic LLC, a medicolegal consulting firm that specializes in case consultation, courtroom exhibits and illustrations, and forensic training. The Bass Lecture Series, named for internationally renowned University of Tennessee forensic anthropologist Dr. William M. Bass, brings forensic science experts to the MTSU campus each fall and spring. MTSU’s FIRE, established in 2006, also provides regular educational and training opportunities for law enforcement, medical examiners, coroners, attorneys, social workers, and other groups in forensic science and homeland security. For more information on this lecture or other FIRE programs and events, contact the FIRE offices at 615-494-7713 or visit www.csimtsu.com.